So I'm talking on the phone with my sister in Indiana. She's asking about the snow. 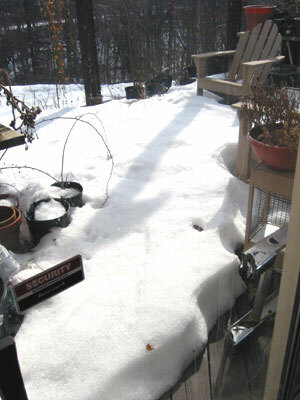 She has this crazy idea that because we've had some rain, that much of our snow should be gone, except for the parking lot glaciers. 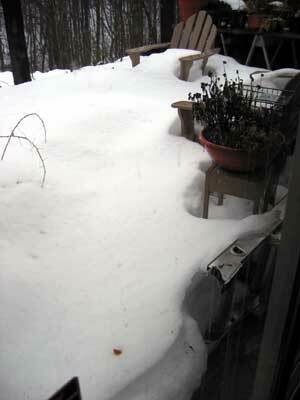 Let me assure everyone that we're still covered in inches of snow. Oh, but there's hope! 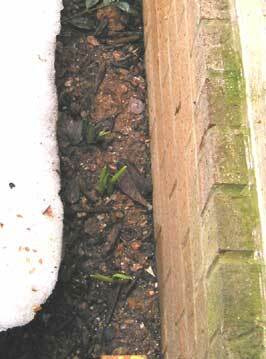 Where the melting snow has pulled away from my house, some daffodils are starting to poke up their greenery. 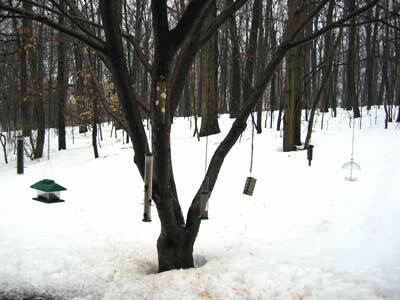 The snow has been melting quite a bit, but it's not gone yet. 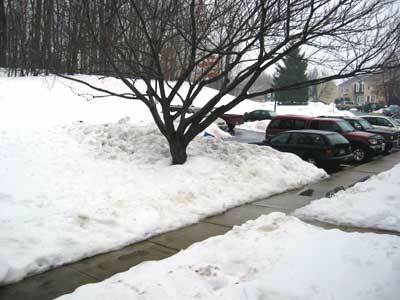 Large areas have barren patches of ground, but not in this part of Germantown! What a difference two days make! The picture above was taken on the morning of the 8th. The picture below is late afternoon of the 9th. 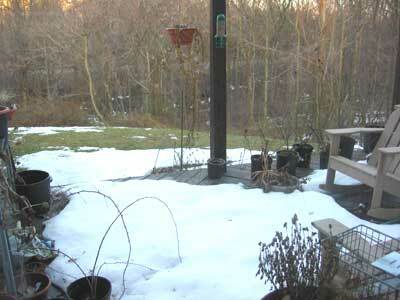 Note that the snow on the grass past the porch and the snow in the woods is almost all gone.